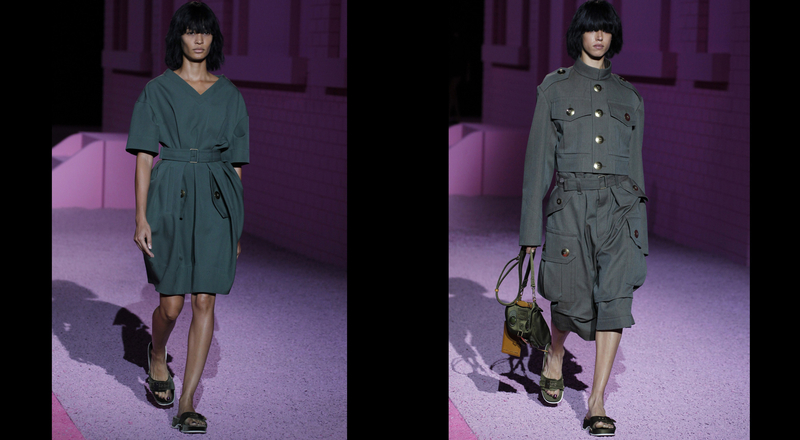 New York kicked off the fall Fashion Week season with a whirlwind of creativity as Marc Jacobs, Donna Karan and Edun unveiled bohemian inspirations for their Spring-Summer 2015 creations. Donna Karan channeled the wealth of multicultural art found on the walls of New York City. Nervous motifs evoking the graffiti of Jean-Michel Basquiat decorated skirts worn with waist-defining vinyl and leather belts. Minimalist tops were inspired by the relaxed comfort of streetwear. Embroidered evening gowns celebrated the designer’s love for casual chic of urban landscapes. 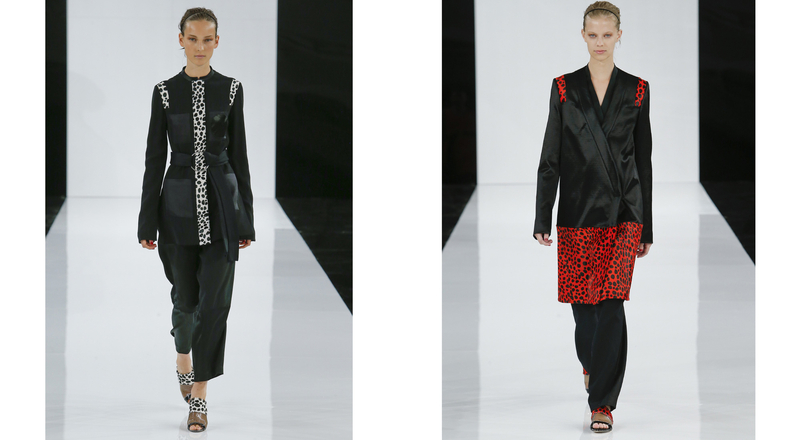 At Edun, Danielle Sherman remained faithful to her African inspirations, associating them with masterpieces by Roy Lichtenstein around the theme of circles. Irregular dot patterns inspired by kponyungo masks from Côte d’Ivoire were joined by steel loop belt buckles that marked the collection. Shapes and materials were inspired by Japan, including wide judo pants in raw, untreated denim, and kimono wrap blouses. 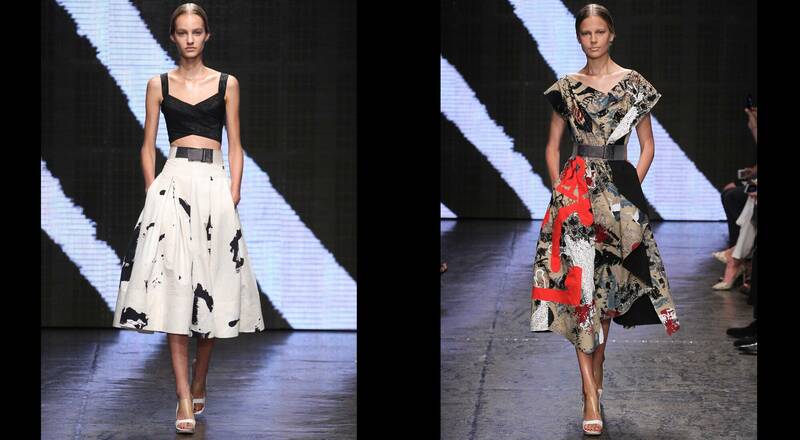 The designer’s third collection for Edun once again drew on the cultural melting-pot that has become her signature.